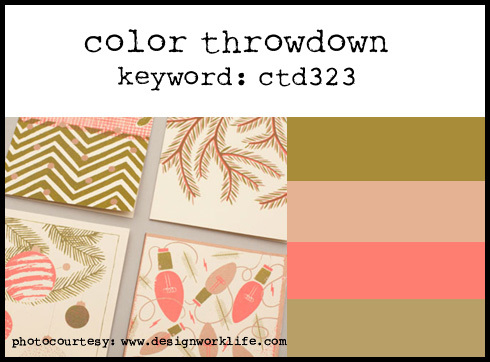 The final Color Throwdown challenge for 2014 is here! Yippee! It actually started yesterday, but I've been a little under the weather...so I am a day later than usual posting. I am so hooked on Color Throwdown and I love making a card each week based on the current color palette. My card today is a mixture of some of my favorite companies' products. I've got some MFT Stamps here and also some Simon Says Stamp. I threw in some enamel dots and bling from Eyelet Outlet and sequins from Pretty Pink Posh...and this is what I got. I hope you will play along with this week's challenge. And remember, you don't have to have the exact colors. I think mine are not quite as muted as the color palette this week. But they always tell us to just use the closest match you have. So have fun and get to creating! This is adorable! Love how you decorated the tree with enamel dots, sequins, and bling. Thanks for joining us for this week's Color Throwdown! What an adorable take on the colors! Really love that die cut tree! Hope you're feeling much better and that you'll have a merry Christmas with family and friends! Always enjoy seeing you throwdown creations! 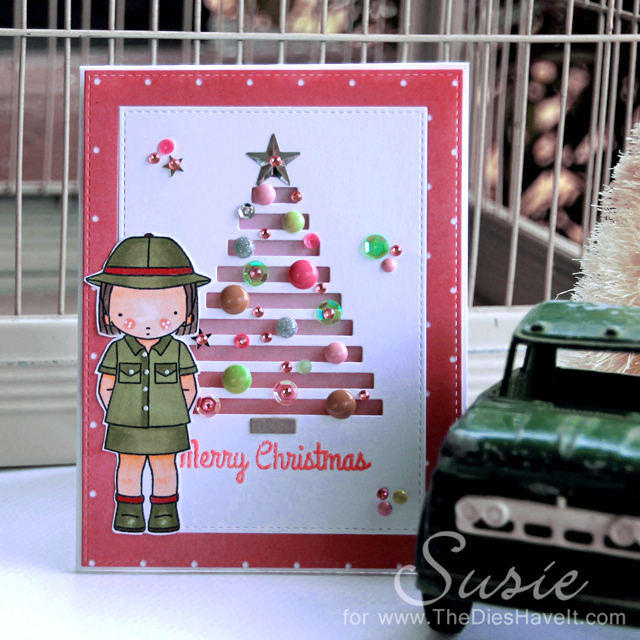 Fun card love that tree! Hope you're feeling better! Thxs for Playing!